Cody’s Appliance Repair is factory-authorized for warranty services for Asko appliance repair. We are trained and certified by Asko Appliances for repairs in warranty and out. 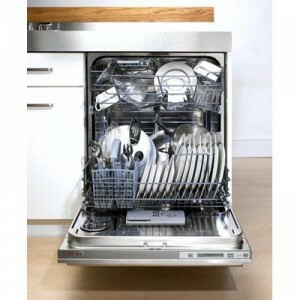 We are proficient with all Asko products including dishwashers, washers, and dryers. What that means for you is that we are trained, certified, and vetted by the manufacturer to represent Asko to give you top-quality service. Our Asko appliance repair technicians are also drug and background checked for your safety and security. The first Asko washer was made in Sweden by a local farmer with one goal in mind: to save water and energy. Asko is now an international corporation with the same goal; to create an exceptional product that is also gentle on the environment. Asko appliances have received multiple awards over the years for their Green technology. So keep Asko’s sustainable efforts in mind when you are choosing whether to repair or replace your older appliances! Or any other problem, call us today for service on your Asko product or request service right here online We are here to help! Cody’s provides Asko appliance repair in Boise, Eagle, Meridian, Middleton, Star, Garden City, Nampa, Kuna, Caldwell, Emmett, and Horseshoe Bend for ALL of your appliance repair needs.